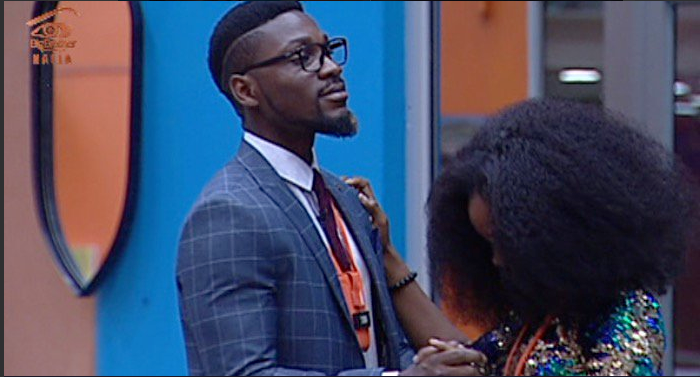 BB Naija 2018 housemates Tobi and Cee C have a toxic relationship that affects the others in the house but today they seemed to be so into their task that they forget the friction between them enough to share a kiss. Tobi and Cee C came first and second respectively in a general task they were given., so for the next task, Big Brother asked them to get dressed in nice outfits to dance to intimate songs. During the task, Cee C went all emotional, broke down in tears before Tobi then kissed her as they danced in front of other housemates. Sadly for them though, they lost the task.